Chickens: The first thing that comes to mind in poultry is chicken. Cheap to buy, easy to raise, quick to mature, easy to butcher and store. Useful birds that give eggs and meat. 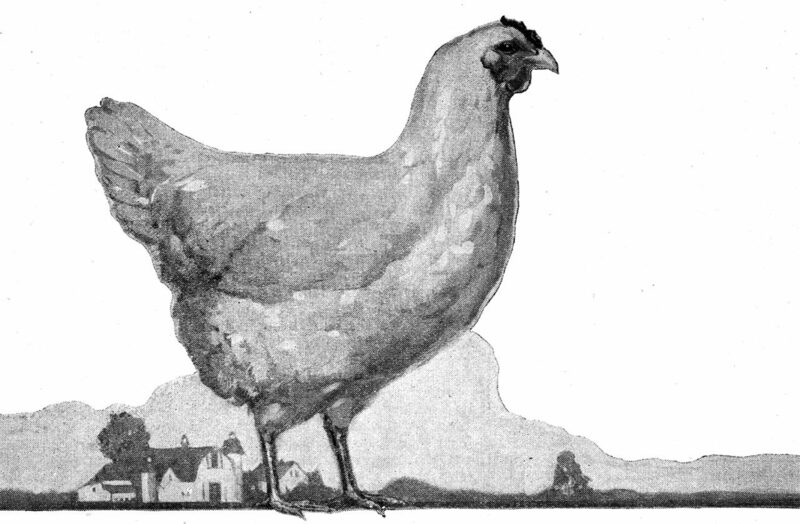 The chicken is the small farmer’s mainstay for his own use. Nomenclature: Baby chickens are chicks. Females are hens. Males are roosters. Castrated males (quite rare nowadays) are capons. Types of chickens: Chickens fall into three broad categories, the egg laying breeds, the meat breeds and the dual purpose breeds. The dual purpose breeds, the Rhode Island Reds, Barred Rocks, etc. are not raised commercially but are quite popular in the small farmer’s flock of chickens. They don’t lay quite as many eggs as the egg laying breeds – which are primarily White Leghorns – and don’t give the quality of young fryers that you get from the meat breeds – which are primarily Cornish Crosses. 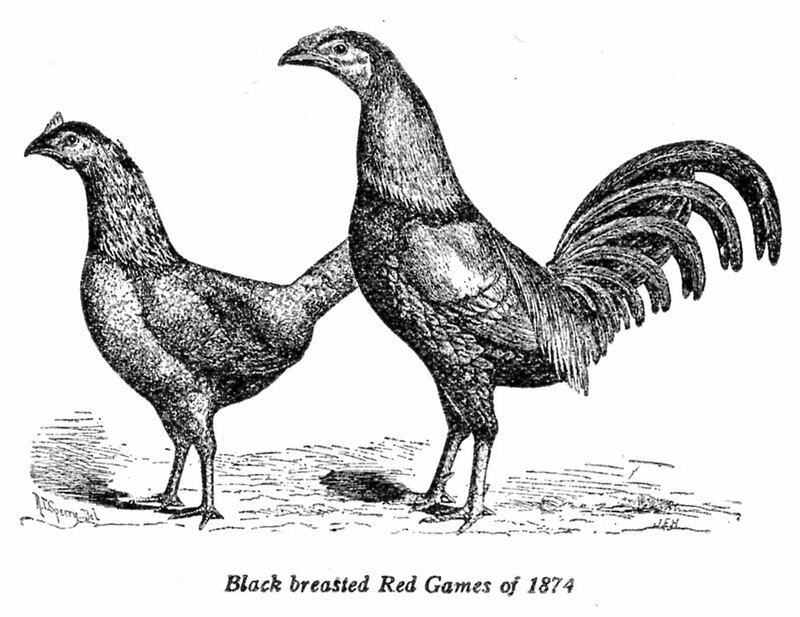 The dual purpose breeds do make good stewing hens when their egg laying years (two or three years) are over and nice big roasting chickens if not allowed to get more than about eighteen months old – after one laying cycle. Buying chickens: You can buy young laying hens, five months old and ready to start laying, but why do that when you can raise your own? Day old chicks are sold in batches of 25 to a box. If you wish you can buy them sexed – all male or all female. Male chicks in the egg laying breeds are very cheap since they don’t put much meat on when compared to the meat breeds. The most expensive are the females in the egg laying breeds. Meat chickens are sold un-sexed (that is mixed sexes). Raising chicks: The first thing to remember is that cats and owls and skunks and rats all like baby chicks! – they find them to be a delicious snack. If you raise chicks where there is any possibility of any predator being present you must protect them with some chicken wire to keep the predators away. Baby chicks are very sensitive to cold and drafts. They need to be indoors in a draft free area with carefully placed heat lamps over them to keep them at the right temperature. Use a one 250 watt red infrared heat lamp per 50 chicks in the cold weather with the base of the heat lamp at about eighteen inches from the floor. They need some kind of a circular surround at least a foot high to keep them from wandering away from the heat source – this surround can be just a cardboard ring in the first couple of weeks. Put a 3-1/2 foot diameter circle for each batch of 25 chicks – or something equivalent for larger quantities at the rate of 3 chicks per square foot. Before the arrival of the chicks – they sometimes come through the mail! – use a thermometer to make sure the temperature at the height of chicks’ back (about 2-1/2 inches) is exactly 95ºF for the first week. If the chicks move away from the heat source then it is too hot, if they all huddle under it then it is too cold – raise or lower the heat lamp accordingly. After one week lower the temperature to 90ºF by raising the heat lamp, and then by 5ºF each week until the heat can be removed. As soon as possible move them to larger quarters – at least 1 square foot per bird until they are a couple of months old then two or three times as much – or more. Over-crowded chickens have a tendency to start cannibalizing each other. On the day of arrival take each chick and dip the end of its beak into warm milk or water. Have lukewarm water in the waterers. If they are late in arriving or have a long trip home to your place add a little sugar or corn syrup to make the mixture sweet to give them a quick boost of sugar energy. Baby chicks can be raised on any surface that is not too slippery – they break their hips on slippery surfaces – coarse brown paper works – newspaper is OK. Do not use any sand, sawdust, etc. since the chicks will eat it instead of eating feed and will starve to death. Since they will be eating an easily digestible starter mash, they do not need any grit at first to help them digest the feed. For the first feeding and a few days after scatter some feed around on the floor until they learn where the feeders are – remember that they are babies! The chicks will talk to you! You should learn their language. If they huddle in a pile under the heat lamp and yeep, a loud chirp, they are cold. If they are too hot, they pant, with their beaks open, like a dog pants and crowd against the surround away from the heat. If they are contented, warm, and full of feed and water, they make a contented, quiet, peaceful chirp. Chicken feed: Commercial chicken feed comes in three types: Starter feed, grower feed and layer feed – each contains a different protein level. 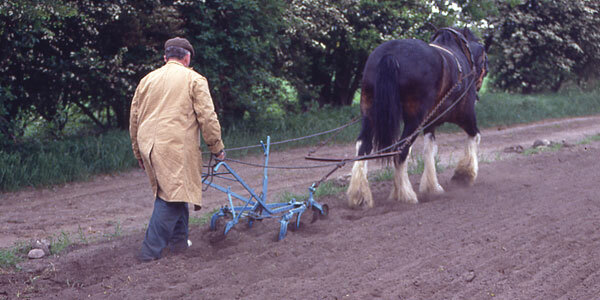 Chicken feed is usually called ‘mash’ – in the old days it was common to feed wet mash to chickens. Laying hens will benefit from some waste garden produce – for example when you harvest a head of a cabbage give the hens the stalk and outer leaves to pick at. 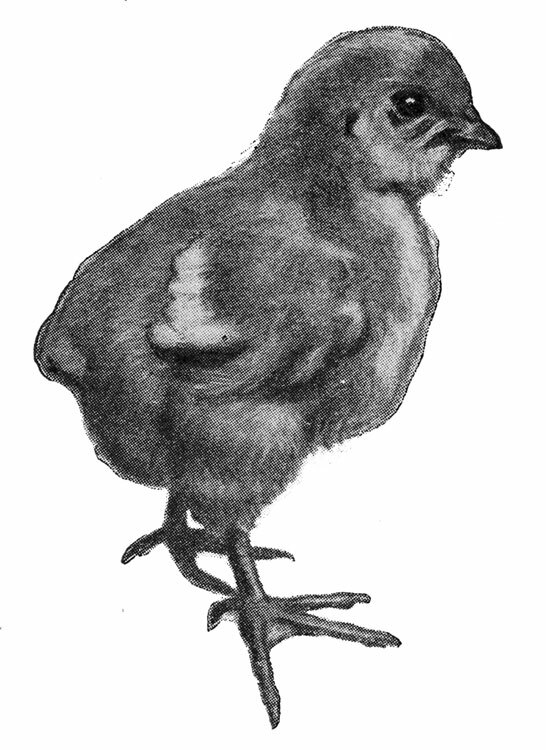 Meat chickens: THE breed of chickens for meat is the Cornish Cross. This breed grows at a fantastic rate. Given 24 hour access to food and water and 24 hour light they will reach 3-1/2 pounds weight in six to seven weeks and five pounds by 9 weeks. It takes a special diet to do this – see below. Feeding meat chickens: The Cornish Cross chickens are fed nothing but starter mash. It must be very close to each chicken – no chicken should be more than about eighteen inches from a feeder or waterer at any time. They will squat down next to a feeder and eat 24 hours a day – make sure the light stays on. Care of Cornish Cross while still chicks is the same as for laying hens. Do not provide roosts for these chickens. To reach about 3-1/2 pounds each Cornish Cross will eat about 10 pounds of feed. The hens will be a little smaller than the roosters. Laying hens: Chickens start laying at about five to five and half months of age. They do not need a rooster (male chicken) to be good egg producers. When a rooster mounts a hen and impregnates her, a small speck of blood shows up in the egg. Some people do like the appearance of an egg with that little speck of blood in it. Of course the eggs are not fertile if there is no rooster in with the chickens. This is only important if you want to raise chickens from your own eggs. More on this later. They will lay for about 10 months and then go into a molt. They will lose some feathers and not lay for a couple of months – then start laying again at about 80% of the rate in the first laying cycle. They will repeat this cycle again after about 10 months, resuming laying at an even lower rate. By then it is certainly time to butcher them – they are full grown, eating a lot of feed and not laying a lot – they are just putting on fat. Feeding and care of laying hens: Raising and keeping laying hens involves a different feeding regimen to that of meat chickens. The chicks are fed starter mash for the first month or so to give them a good start, and then they are switched to a grower mash. At five months of age they should be switched to a layer mash. The layer mash contains the vitamins and minerals to enable them to maintain high egg production while maintaining their health. As mentioned earlier, chickens (in fact all birds) need some form of grit or gravel to help them digest what they eat. After the first few days the chickens should have fine chick grit available, changing it to the regular size grit when they are switched to the grower mash. At the time they are switched to layer mash they need one more item to be always available, and that is oyster shell – it goes to make good hard egg shells. 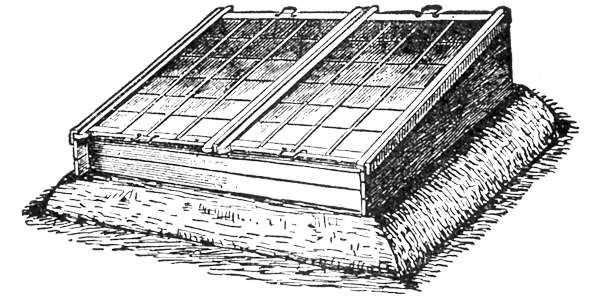 The grits and oyster shell are very inexpensive and the birds do not use a lot – so be generous, change it if it gets dirty and make sure they never run out. Housing laying hens: Chickens do better in clean draft free housing, with some ventilation. Once past a couple of months of age, like all birds, they prefer to roost above the ground rather than stay on the ground to sleep. Roosts can be staggered in an “A” frame style with several heights of roosts from one foot to six foot above the ground. Use round poles about one inch in diameter and allow about ten inches per bird. Laying hens need a place to lay the eggs – like all birds, they like to lay in a nest of some type. For chickens we must furnish laying boxes at the rate of one box per five hens. The boxes should be away from bright lights – not in the dark, but in dim light. Each box is about a twelve inch cube, open only at one side, and with a two inch lip to prevent eggs from rolling out. The boxes should be up off the ground with a roost about four inches in front of the box. Rows of boxes can be stacked one above the other to a height of about five feet. There should be some clean straw in the box. Collect the eggs at least once a day. Controlling egg production: Unfortunately it is a fact that not all your chickens will be good layers, and some may not lay at all. The low producers should be culled out for the pot. It is recommended that the flock be culled after two months of lay, after six months of lay, and if they are not sold, then culled again after the 10 months of lay. Birds culled on this schedule will be the best second year layers. The indicators of good or poor egg production are the body condition and the pigmentation of certain parts of the bird. The birds should be examined in the afternoon or early evening after most of the day’s eggs have been laid. Handle only the birds whose heads indicate that they might be non-layers (see below). Examine the following: The comb and wattles (on the bird’s head) should be full, smooth and bright red. A non-layer’s comb and wattles are dull, dry and shriveled. The best birds have bright bulging eyes and rather smooth eyebrows. 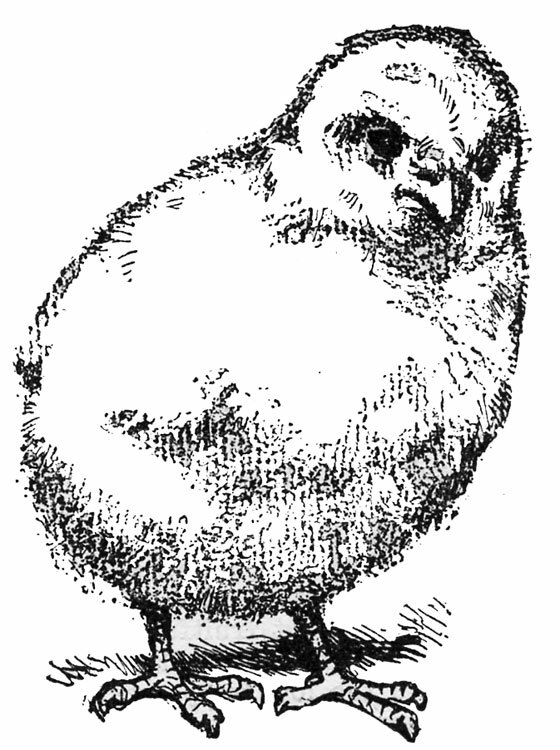 Birds with excessive fat due to non-laying have fat faces with sunken eyes and heavy eyebrows and forehead areas. Also examine the vent and pubic bones. The vent (where the egg comes out) should be large, smooth, moist, and almost white. It is easy to visualize an egg coming out. The pubic bones (the two small bones either side of the vent) should be spread apart, thin and pliable. In non-layers these bones are thick and close together. Study the pigmentation of the feet and legs. The skin in yellow skinned laying hens bleaches out – the shanks should be white, thin and flat. The shanks in non-layers are a yellow color, plump and round. A study of the shanks of the birds is the best single indicator of their production capacity at six months of lay. 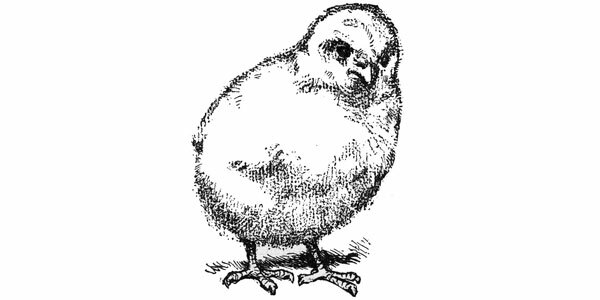 Raising your own chicks: In earlier times nobody bought chicks – you raised your own chicks from your own eggs. 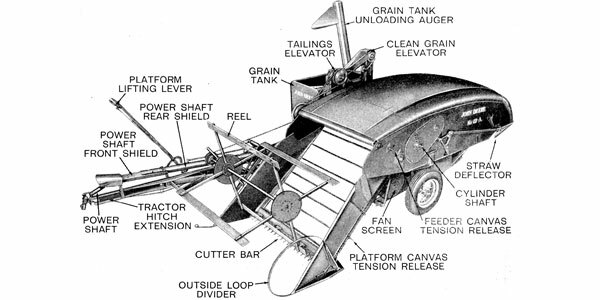 Then, eighty or ninety years ago, the commercial producers got into the act. Producing eggs and chickens stopped being a farm sideline and became a business. Instead of flocks of laying chickens we got what amounts to egg and chicken factories. Now we have chicken ranches that count their birds in the millions. The end result is quite cheap chicken and eggs in the store – but they have no taste or flavor. We can do better. One very unfortunate result of the commercialization of the chicken business is the selective breeding that has gone into developing the modern chicken. One of the things that has been bred out of today’s chicken is the ability to go “broody” and hatch out a clutch of chicks. A mature one year old hen can comfortably sit about 12 eggs. Chickens nowadays will go broody, but will abandon the eggs after a few days – the brooding instinct has been bred out of them. It takes 21 days of continuously setting on the eggs by a nice warm hen for the chicks to hatch out. None of the common domestic breeds available will sit the eggs long enough to hatch them out. A few breeds of somewhat rare birds will still sit a clutch of eggs – bantam hens, some of the Asian exotic breeds, guinea hens. You can get ducks to sit the eggs long enough. I suppose in some way out farms back in the hills there are still hens that will hatch a clutch of eggs – if you can find some, buy them! – and keep raising them. There are commercially made small electric and gas brooders that will hatch out eggs for you – give one a try, you might like the satisfaction of doing it all from start to finish. Oh, and one final note, if she is going to lay eggs that will hatch that girl chicken needs a boy friend – a rooster is essential for fertile eggs. And don’t forget that he provides a half of the heredity of the chicks – use a good, healthy rooster of an appropriate breed. Butchering chickens: Our great, great, grandparents, while they were growing up saw their mother (or father) kill, pluck and clean perhaps hundreds of chickens for family dinners. Most of us today have had to learn how to do this by being shown or reading a book – and it is something we are very reluctant to do. Some people, through perhaps excessive squeamishness, never can learn to do what has to be done. Few people actually enjoying killing things, though it doesn’t seem to bother hunters and fishermen. 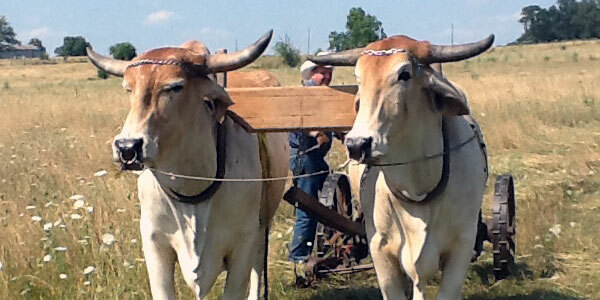 It is a task that can be learned – a very necessary task on a farm with livestock. If you don’t do it, then somebody else will do it, perhaps not as cleanly and humanely as you could. If you know which chickens you are going to kill, segregate them the night before and do not feed them – this gives the craw a chance to empty out and makes it easier to dress them out. So, on to the somewhat unpleasant task of turning a chicken into a Sunday dinner. There is the old standby: A tree stump and a sharp axe. With this method it pays to have two nails driven into the tree stump or chopping block about one inch apart and sticking out about one and a half inches. While holding the chicken by the feet with one hand, put the chicken’s neck between the nails. Stretch the neck and chop off the head. This keeps your fingers away from the descending axe blade. You will likely get sprayed with blood as the chicken’s heart pumps the blood out. The chicken will not be feeling any pain since pain is felt in the brain and the head is off. There is a technique that involves sticking a narrow sharp knife blade up through the roof of the mouth into the brain, killing the bird instantly. I am not crazy about this method since the bird is not bled out very much – but it does keep the blood off your clothes. This is the method used by some commercial packing houses. You can, of course, cut the bird’s throat or cut its head off to bleed it out after it has stopped the involuntary jerking and kicking. This is a good method to use with turkeys, ducks and geese. 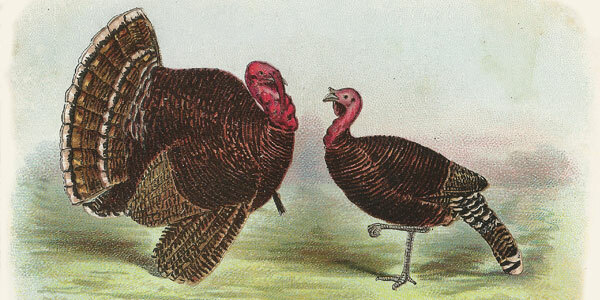 One method that was preferred by my parents was a technique for dislocating the bird’s neck and breaking the spinal cord. You hold the bird’s legs firmly between the fingers of one hand, place the top of the bird’s head in the palm of your other hand with the bird’s neck between the first two fingers, and while pulling, bend the bird’s head back against its neck. As the neck bones separated you bring your fingers together to crush the spinal cord. It sounds a bit clumsy, but it a clean and efficient way to kill the bird without getting any blood on yourself. Then, as above, you bleed the bird out after it has stopped kicking. With very young chickens too much pull will pull the bird’s head off. One method I have never used is to take the bird by it’s head and swing it around until the head comes off – a crude method with no class. Animal feed supply stores (in the country) sell a killing funnel. You put the bird head down into the funnel with its head sticking out of the small end and then either cut its throat or cut its head right off. The main advantage to this method is the bird does not thrash round spraying blood while it is bleeding out. It also eliminates one problem – sometimes a freshly killed bird will thrash around so much that it bruises the meat and breaks bones (especially the wing bones). Since the wings are held in by the funnel no damage occurs to the bones or meat. This is the method that I prefer. Plucking the feathers: Chickens can be dry plucked, but it does a poor job. To remove all the feathers, including the pin feathers, it is necessary to immerse the entire bird in hot water for enough time to loosen the feathers. Heat a large can of water to a hot, but not boiling temperature. For more than one bird we use a metal trash can balanced on two cement blocks and light a wood fire underneath. The time of immersion is proportional to the heat of the water. Bring the water up to, say, 140ºF, dip the chicken in and move it around to get water to the base of the feathers for a few seconds and try pulling a few feathers. If they are hard to pull out then re-immerse the bird for a few more seconds. If the feathers come out too easily the water was too hot or the bird was in too long and you have probably started to cook the skin. It takes a little practice to be able to judge the correct times of immersion as the temperature of the water rises or cools. Having loosened the feathers in the hot water, hang the bird up by its feet with two pieces of string from the rafters (in the barn?) so that its legs are pulled apart and pluck out all the feathers. It should be about five feet off the ground. On older birds you may have to use a pair of pliers to pull out the wing feathers. It does not matter if the water gets a little grungy as you will be washing the bird clean as a last thing before wrapping it. For turkeys you definitely need at least a thirty gallon metal trash can and a pair of pliers. Dressing out the plucked chicken: Leave the legs on until you have finished everything else, they give you something to hold on to, then remove them at the joint where the scaly skin on the legs starts. With the bird on a cutting board, make a small cut (just barely big enough to squeeze your hand in) across the bird’s body at the lower rear of the body between the last bones of the rib cage and the tail. Reach in and pull everything out. Scrape the inside clean with your fingers being sure to get the lungs out of the cavities in which they sit in between the ribs. Go to the front of the bird and cut off the neck at the body. Put your hand into the neck cavity and pull everything out – the craw is very well attached and a little hard to get started out. You should be able to put your hand up the rear and touch your hand in the front. Depending on your tastes, some of the items you have removed are very edible when cooked and used in gravies etc. Save the heart, the liver, the neck you removed. Some people even use the gizzard with the tough membrane removed. Now wash the bird inside and out very thoroughly in clean water and pat dry. This is the time to decide if you want it whole or cut up. Wrap it, or the pieces of it, in freezer paper, mark the outside with the contents and the date and put it in the freezer – or take it to the stove and start cooking!